Searching for a Stone Mountain commercial HVAC contractor? Look no further. 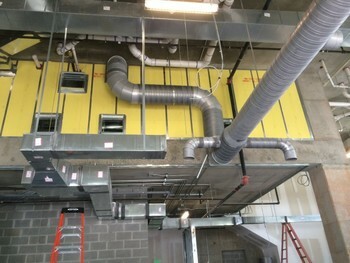 R Fulton Improvements has provided commercial HVAC work in Stone Mountain, Georgia for over 20 years. All of our Stone Mountain HVAC contractors are Georgia certified for commercial HVAC installations and repairs. R Fulton Improvements has been providing commercial HVAC services to customers in Stone Mountain, GA for over 20 years. We assess, design, install, and service all types of heating, cooling, and ventilating systems. R Fulton Improvements offers free estimates and 24 hour emergency HVAC service in Stone Mountain. Here at R Fulton Improvements, we believe in providing Stone Mountain commercial HVAC clients with the highest quality of products and services, and guarantee customer satisfaction. Our technicians are trained in the latest HVAC technologies, allowing us to serve you and other Stone Mountain businesses best. For all your commercial HVAC needs in Stone Mountain, Georgia, call R Fulton Improvements at (678) 251-9181.